Who am I kidding, you already know! 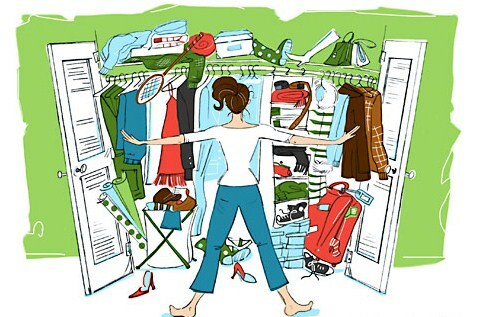 Every morning I open my closet to get dressed and I stand there not finding a single garment to put on. Almost always like clockwork, an item falls down on me, a shoe or boot falls out off the shoe rack and I have hangers galore hooked on other hangers that are in the way for a clear view. Do you have these closet issues? Clothes, shoes, bags and oh EVERYTHING I own is hard to part with. For some reason I think it is going to come back in style and I will want it then (but I won't, I'd just want a new updated version). It is time to let go! Do you have a hard time parting with clothes or home decor?